The First Chair was designed for Michele De Lucchi for the Milan-based company Memphis, who caused a stir in the design world in the 1980s. The First Chair was designed in 1983 although its quirky design could easily fit in items from the 1960s as it has a similar playfulness. 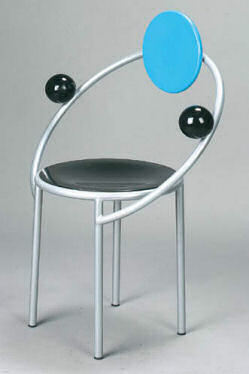 Made from enamelled wood and metal, it costs $850 (approximately £420) from Nova68.